Our very own belief systems are built to help us navigate the world, it helps us understand what is right and what is wrong, however, sometimes our own beliefs system holds us back from greatness. Past Experiences – often form to protect us these are usually based on a negative experience. For example, if you were cheated on in a past relationship; it is likely you will enter a new relationship with a guard to avoid being hurt again. Social Constructs – place upon us by society and it rules, it determines what we should and shouldn’t do. Religion – Which have values to live by, but these can often cause a conflict. Ola speaks about how his friend told him how it’s impossible to buy a property and how you should give up. So how do you overcome your limiting beliefs? One of the most powerful techniques is asking a question. 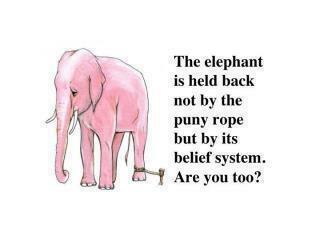 Why do you have the belief you have? Could it change? Where did it stem from? You have the power to overcome your beliefs! All these factors have an impact on our lives because we are a product of our environment, whether you have to unlearn the lesson taught to you by your parents, or have someone in your life who breaks the “status quo” and make certain thing seem achievable. It’s also down to the language; have you ever heard or said “It’s not for me, I can’t do that… it’s often our limiting belief and our worry about stepping out of our comfort zone. Tieing it back to our previous 5 part episode on the regret of the dying, it’s fascinating to see how the people close to death share similar experiences.